Don't miss this limited-time offer - get the top-selling PING G20 virtual clubs, now unlocking at Levels 54-55 in the Pro Shop. The top selling PING G20s offer more distance, forgiveness and a slower WGT swing meter. These clubs normally don't unlock until Levels 58-59, but for a few weeks only, they're unlocking at Levels 54-55. With over 75,000 participants in this month's event, the journey to the top of the leaderboard will be anything but easy. While players had an unlimited amount of chances to post a first-round score in this 36-hole, cumulative event, they have only one chance this week to post a second-round score. As a result, even the most seasoned WGT veterans are feeling some pressure as the event's Jan. 31 conclusion draws near. Some highlights from the second round include keithm1's hole-out on the 16th and secenbarger's accurate approach to the opening hole. 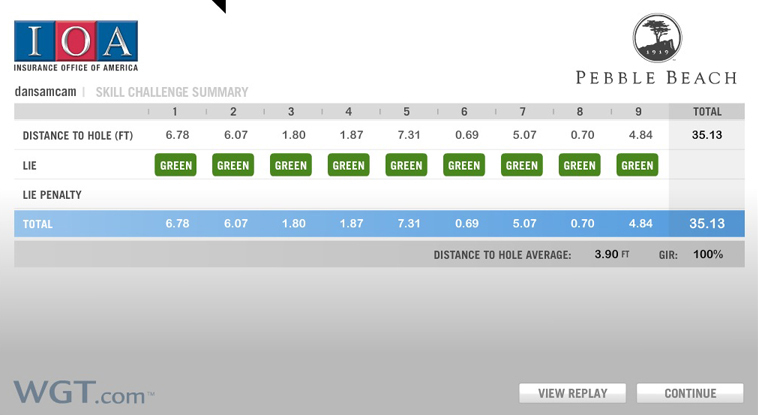 Based on early player feedback, we've improved Course Notebooks on WGT. 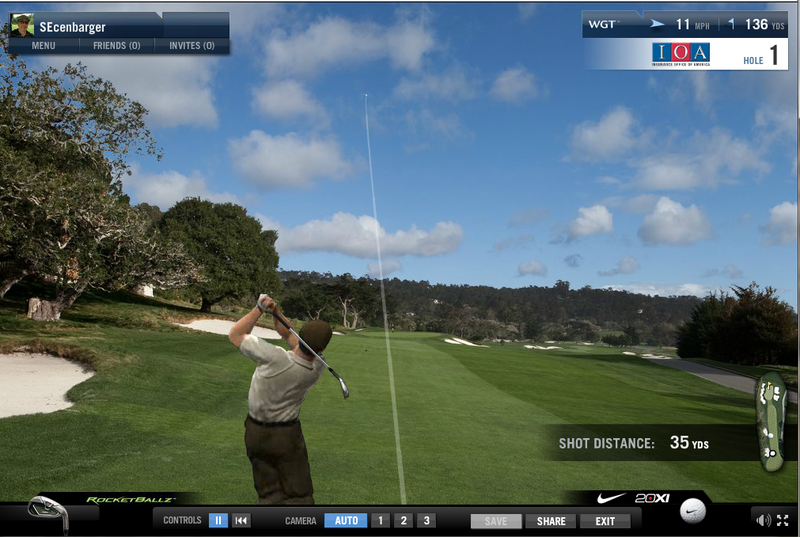 Keep your tips handy for every virtual golf course on WGT, so you remember how to best play each hole. 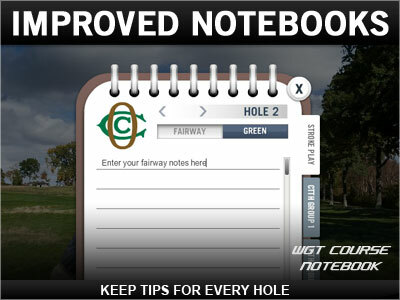 We've improved Course Notebooks based on early player feedback, so you can easily keep your tips handy for every course and hole on WGT. We've added new tabs for easier navigation, quickly jump to any hole on the course, access Notebooks when you're not playing a game and more. Remember: there is a Notebook page for each fairway and each green (so two pages per hole for stroke play courses), you can enter up to 500 characters per page and you only need ONE Notebook for all your course notes. 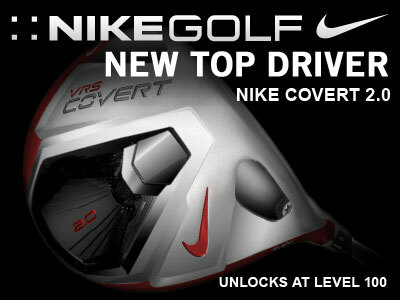 The new Nike Covert 2.0 driver has the most carry distance of any driver on WGT to help you clear more hazards. This is the same new driver that Tiger Woods and other pros are playing this season. The new Sky Brace technology gives you higher trajectory and more carry distance, helping you cut more dogleg corners on WGT. Unlocks for top players at Level 100 in the Pro Shop. 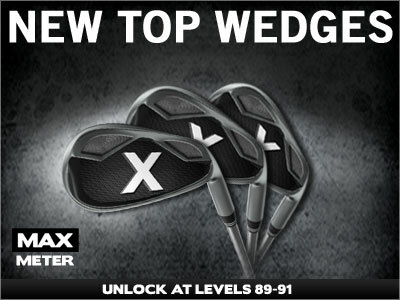 The newest MAX wedges feature a slower WGT swing meter, plus precision and spin for top WGT players starting at Level 89. These wedges pair well with the MAX Meter full club set, to help you ding more shots and improve your scores. Been thinking about an upgrade? 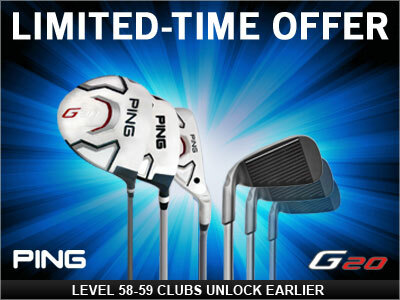 Don't miss this limited time offer and get the popular Ping G20 virtual clubs with a slower meter, normally unlocking at Levels 58-59, now unlocking at Levels 54-55 for a few weeks only. Remember: you can use Level-Up Boosts and XP Boosts to level up faster in the game so you don't miss out! 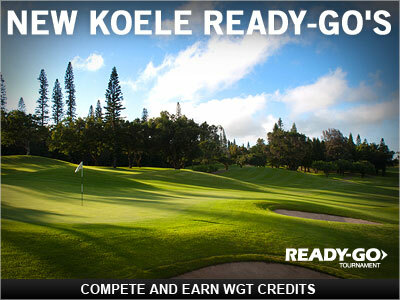 Join a quick, fun Ready-Go tournaments on our newest virtual course, Koele in Hawaii. Compete against other WGT players, with the top 30 of 50 scores earning WGT Credits. Did you get a new iPad or iPhone over the holidays? Now you can play your favorite virtual golf game on both of these devices. Download the free WGT Golf Mobile app to connect your existing WGT account and play full stroke play games with your same virtual equipment. *Free Golf Mobile app supports iPad 2 or later, iPhone 4 or later, and iPod Touch 5 or later (not iPad 1 or iPod Touch 4, sorry). There are always new virtual golf tournaments being played on WGT and we have some recent tournament winners to announce. WGT players are getting some great prizes, including dream golf trips, golf outings, gift cards and WGT Credits. Please note that tournament details and prizes take some time to finalize, so there may be a slight delay in the official announcements. This grand prize winner gets a trip for two to Edgewood Tahoe, site of the American Century Championship. This dream golf trip includes 2 rounds of golf, 2 nights hotel plus airfare. 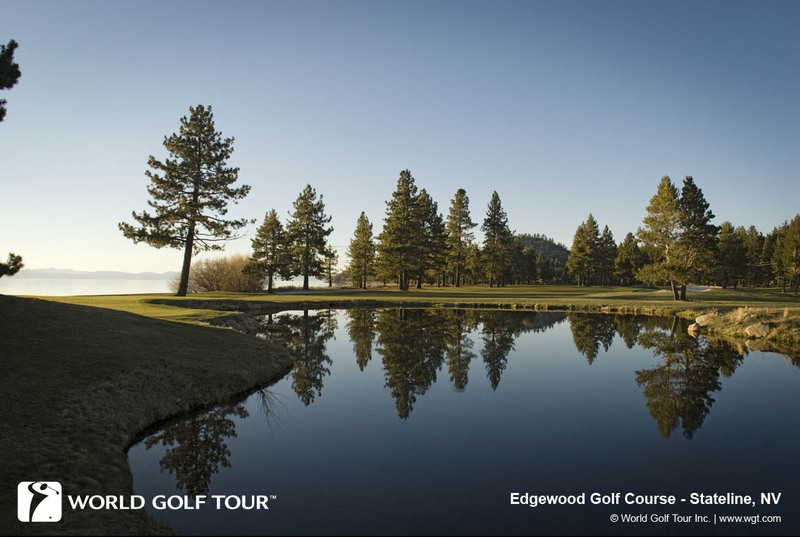 Enjoy your trip to beautiful Edgewood Tahoe! This second place sweepstakes winner, receives a custom Korbel golf bag. The third place sweepstakes winner gets some great new Korbel-branded merchandise. Prize: This unlimited, 18-hole stroke play tournament was played on Kiawah, home to the 2012 PGA Championship. As the lucky sweepstakes winner, chazzam wins a real TaylorMade R1 driver (not the virtual version on WGT) to improve his golf game. Prize: Both the leaderboard and sweepstakes winners each get a trip for two to learn from the best at The Leadbetter Golf Academy Three-Day Mini School in Orlando, Florida. This trip includes airfare and hotel accommodations, golf school for two and complimentary Callaway Club fittings. Prize: This lucky sweepstakes winner gets a three-day, two night deluxe golf package with accommodations for two at any of the three Grand Golf Resorts Florida (Innisbrook, Reunion or Hammock Beach). Enjoy this great trip! 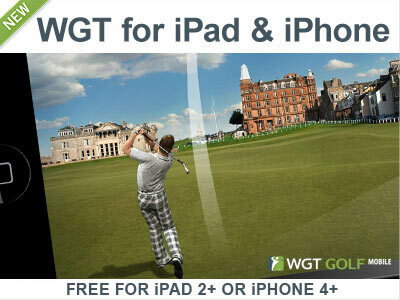 WGT and Golf Channel are hosting the 2014 WGT Virtual Tour, the largest online golf season in history. 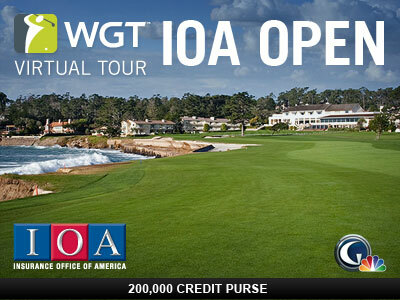 The first round of the January event, the IOA Open on Pebble Beach, closes on 1/24 so be sure to post your best score so you can compete in the second round that runs from 1/25 to 1/31. The top scores in each WGT tier will earn WGT Credits from a record purse of over 200,000 Credits, that accumulate all year, qualifying players for the year-end championship and additional prizes. Golf Channel is covering all the action from the WGT Virtual Tour. Read the latest weekly updates and see WGT player video highlights online, and be sure to watch Golf Channel this week to see top player usernames and scores streaming live on TV! As part of the news coverage on the Golf Channel, WGT Virtual Tour scores started appearing today on TV in the Golf Channel score ticker. Top WGT players now get to see their names and scores live on TV! Players have until 1/24 to post a Round 1 score, but the early lead in the Tour Legend tier belongs to dancamsam, with a total of 25.63. Swedish player ujjbnjk sits in second with a total of 29.18, while Spain's TREMUX rounds out the top three at 30.93. 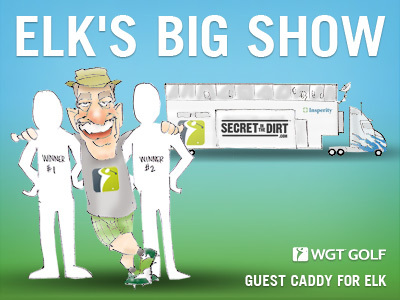 Play in Elk's Big Show tournament on WGT for a chance to caddy for 10-time PGA Tour Champion, Steve Elkington at a 2014 Champions Tour Pro-Am event. Professional golfer and WGT player, Steve Elkington, is excited to present this free, unlimited, stroke play tournament on historic St Andrews. The top leaderboard score, plus one lucky sweepstakes winner will each win a trip to a Champions Tour event and the chance to carry Elk's bag. Don't miss this exciting tournament, enter today and compete for a chance to win the opportunity of a lifetime. Note that anyone can play, but only residents of qualifying countries and states are eligible to win the prize. See tournament rules for details. Pristine fairways lining the Pacific Ocean. Finely manicured greens overlooking the scenic Monterey Peninsula. What better place to begin a new season of golf than at Pebble Beach? With the WGT Virtual Tour, you can do just that. Play is now officially open for the 2014 IOA Open at Pebble Beach, a virtual tournament where players of all skill levels can take a crack at arguably the most scenic golf course in America.